Without making sweeping generalisations most people have childhood memories that contain Roald Dahl. Many of us will have read at least one of his books, seen one of the film adaptations. Some of us may have memories of devouring all of the books of his they could find, one after the other. I had read Boy years ago and retained a blurred memory of having loved the tales of his childhood, though I wouldn’t have been able to tell you any of those stories. As I read, the memories came back, this time with them, the overwhelming sense of creative mastery. The stories foretell the inspiration behind those works of genius still to come. The testing of chocolate in boarding school sowing the seeds of inspiration for the iconic Charlie and the Chocolate Factory or the mouse in the gobstobbers perhaps the idea behind The Witches. What is clear from this collection is that the reader becomes aware they are reading work from a fine story teller, one who has indeed mastered the craft. Every part of Boy is fascinating, from the history of how his parents met to how he gained the opportunity to go to Africa through his work. He is quite open with how joyous some memories are, and how difficult other periods of his life were to endure. The other stories in the collection are also interesting to read. The theme of innocence is threaded throughout. This could be the innocence of a bullying victim, the innocence judged on outward appearance or innocence assumed to be lacking in another. Having read Boy first, the inspiration for some of the short stories or indeed on one occasion the possible inspiration for Boy, is apparent. I’m sure there was some cathartic quality to some of the writing but also a lesson being told – ‘this happened to me, just like possibly did to you. 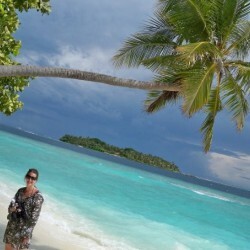 I’m still ok, I’ve made a success of my life and you can too’. There are hints of the darker tones that thread throughout his other novels. Adept at show not tell, undercurrents of threat and malice are generated by the reader, whist the story itself may on first appearance be innocent. This should come as no surprise to most readers familiar with Roald Dahl. He is famous not just for his children’s stories but also for his adult fiction such as Tales of the Unexpected and the memorable short story Lamb to the Slaughter. Even his children’s books feature threatening enemies, warnings of the results of being spoiled and situations that boarder on child neglect. 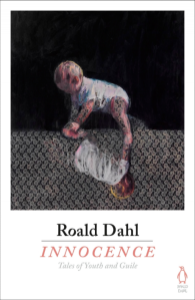 Innocence is part of a new collection being reissued by Penguin. Together with Fear, Trickery and War the quartet has been curated with further works by Dahl and by authors he admired and given covers featuring striking artwork by Charming Baker. Reading Innocence reawakened in me the love of Roald Dahl’s work. Granted this wasn’t love that was very dormant as I am now at the stage of encouraging my children to read his work, or at least have it read to them. As I read more of Boy and the other short stories I realised just how important his stories were to my childhood and the millions of other children who have read his books over the years. The genius of storytelling is, to me, to be able to engage a diverse audience, to hold them rapt, whatever their background. To have your stories told for decades after they were written and for new audiences to fall in love with them. To be able to draw a reader completely into a world that they are immersed. I hate to use the word genius lightly but in Roald Dahl’s case it is a title to which is justly warranted. Innocence is a glimpse into that genius, one that made me want to re-read more of his tales. Highly recommended.